Israel's poverty line is supposed to define who is poor and who isn't. But does it? Just like when another wave of layoffs is announced, you've probably heard about the poverty line in the media when the numbers are shocking enough to make headlines. How are poverty lines chosen? How is Israel's poverty line defined? Chosen in the 1970's, Israel uses a variation of the last method with the official definition of Israel's poverty line being fixed at 50% of Israeli households' median monthly disposable income. In other words, if you made a long list of each Israeli household's monthly income, sorted the values from highest to lowest and then pulled out the number that was in the exact middle of the list, a poor Israeli household is one earning less than half that number. To make that definition more meaningful, the National Insurance Institute (Bituach Leumi) publishes tables every year showing how much the poverty line is valued in shekels with the numbers split by family size, age group or other criteria. Pro – being based on the median and not the national average monthly disposable income means that if the ultra-rich get ultra-richer, their earnings won't distort the poverty line. Con – if the cost of living in Israel changes drastically e.g. due to inflation, the current definition won't show any difference in the population's ability to cope with the change. Con – this definition doesn't take into account pre-existing assets. If I have a Mercedes-Benz convertible but no monthly income due to a recent layoff, should I be considered poor? People have been pushing for an updated definition for years and according to TheMarker (Hebrew), a government-appointed committee came to some conclusions last year. Based on which, the Treasury will push for a change in the 2009 budget that the poverty line take into account new indicators like household assets and monthly spending. 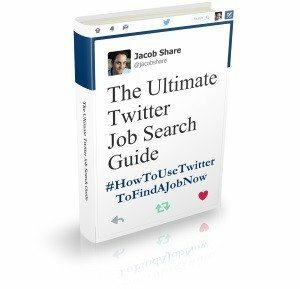 If you liked this article, you'll enjoy The Ultimate Global Guide to Job Salaries in 2008. 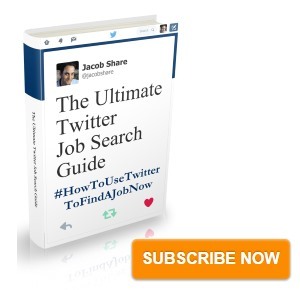 Subscribe to JobMob via RSS or email and follow me on Twitter for better understanding of the Israeli job market. Another couple of statistics that are widely abused are the amount of full-time vs part-time workers and the lower average female salary. What does the media make a large part-time workforce a bad thing? Should not this be a good sign that youth and students are working, and that mothers can also find work while the kids are in school? And given that, there seems to be a growing awareness of ‘misrat em’ which means that some companies find it convenient (and are willing) to give mothers a part-time job in which they can come in during specific hours a day. and with regard to poverty, Israel can’t be judged on such nominal stats because of two major reasons; Arabs and Haredim. In general, both have a multi-child non-western lifestyle that might not be centred on the pursuit of wealth and consumption. A Haredi family might have eight kids, father studying all day, mother working part-time, and they are getting by with the basics (which most of us would seem primitive) – but considered poor. The Arabs (in general again) also have a lower standard of living and get by with less (besides the ‘natural’ tendency to evade taxes to the Jewish state and/or work under the table). Both groups simply get by with much less. Though, I am not denying that there are real poor people in Israel (in all sectors) with empty fridges. Please clarify if the median is the number in the middle then by definition 50% of households are below the poverty line? Noam- no, that’s not it. Here’s an example. If the median Israeli household income is e.g. 8000 shekels bruto (gross) per month, then the Israeli poverty line is 4000 shekels bruto per month i.e. any household with a lower income is considered below the poverty line. I had no idea statistics were so widely open to discussion, but no one thinks of Israel of being a poor country or of having issues like child hunger, etc, but it happens even in rich countries. Another issue is that people don’t like having their perceptions changed, even when that means just becoming better educated. Next PostThe State of Israel’s Job Market Early in the Global Economic Crisis: What’s Going On?